The boys meet was led individually by Daniel Schumann of Haddam-Killingworth (CT) at 16:13 after battling with New Jersey's Sebastien Reed, a senior from Pitman, who finished with 16:15. Reed was the second fastest athlete of the day and both boys broke into the top 25 since the 2013 course change. The boys team merge went to New York's Kellenberg Memorial who scored 91 points between all the races averaging 16:43 and splitting a mere 35 seconds between their top five. They were led by Joshua Michel with a time of 16:28. The top New Jersey team on the boys merge was Washington Twp who ranked fifth with 274 points averaging 16:56. Their number one was Evan Chu, scoring 27th in the meet, with a time of 16:56. The girls side was led by Ariana Gardizy individually. The North Penn (PA) senior won early on and her time of 18:25 held on the rest of the meet. She already ranks third all-time, since the 2013 course change, with her 18:15 finish from last year. Indian Hills sophomores Corinne and Madeline Barney tied for the second best time of the meet with 18:36. They've had a strong start to their season individually and with their team so far in 2017. New Jersey's own Voorhees led the girls team merge with 108 points and an average of 19:37. 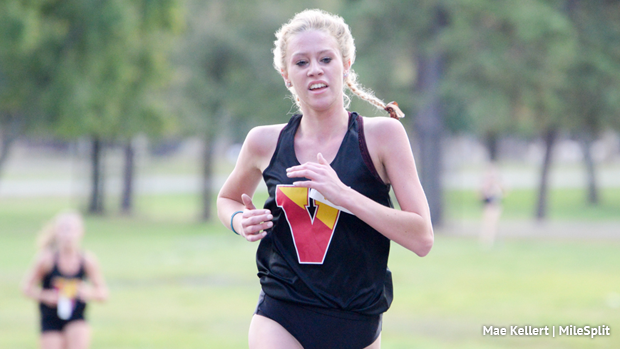 Their number one was Nicole Cassavell who scored ninth overall at 19:09, she was fourth in the Varsity C race. Lauren Wagner, 19:13, Emma McGill, 19:24, Emily Sell, 19:49, and Sophia El-Zahr 20:31 made up the rest of their top five.